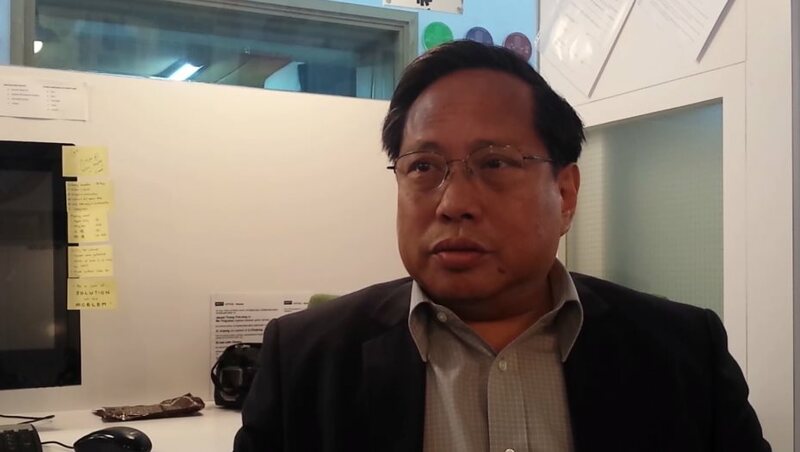 Pro-democracy lawmaker Albert Ho says he is a regular patron of Causeway Bay Books and a friend to Lam Wing-kee. 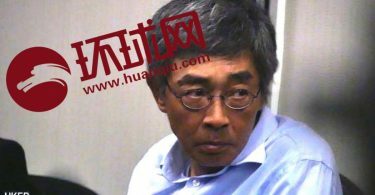 Ho spoke to HKFP about how he came to help Lam, a day after the previously missing publisher gave reporters a dramatic account of his detention in China. 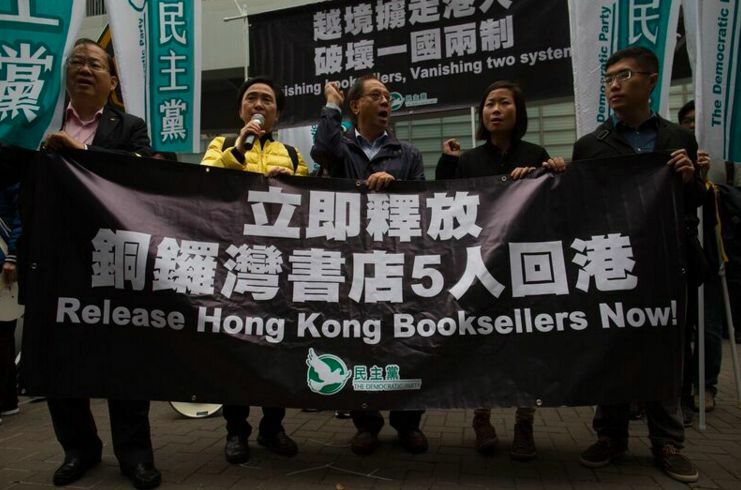 Lam, one of the five missing booksellers from the Causeway Bay’s banned bookstore, returned to Hong Kong on Tuesday after being “abducted” from Shenzhen last October. He was due to go back to China on Thursday with a hard drive containing a list of the bookstore’s customers, but decided to remain in the city and speak out. Ho, who held the press conference together with Lam on Thursday, told HKFP that Lam had approached him for advice because they were friends. “I’m a frequent visitor to the Causeway Bay bookshop so he has known me for quite some time. [S]hortly after he was released, he decided not to go home, he found a shelter for a rest, so that he can think over the whole matter as to how he should go forward – particularly, he’s very concerned about the demand made to him that he should hand over some of the personal data [of] the customers of the bookshop and he was extremely unwilling to do it,” Ho told HKFP. “So he thought it over, he needed some advice, and he thought about me. He gave me a call yesterday during lunchtime… so I immediately contacted him and asked him to go to my law offices,” Ho said. 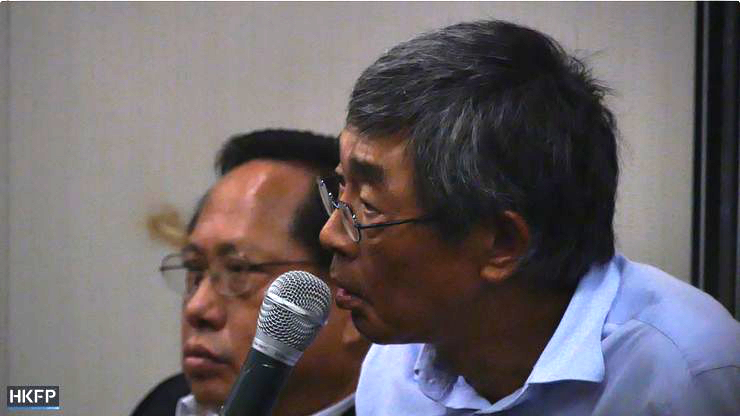 Ho said that nobody could ensure Lam’s safety, and that he could not even ensure his own safety. “But I think we need to have enough courage to speak the truth. As he said yesterday quite honestly and candidly that if people like him, having no immediate family members in the mainland, were still fearful and become subdued and refused to speak the truth, it would be a very, very sad day for Hong Kong,” Ho said. He also said that one should not be so fearful for their own safety that it deterred them from taking actions. 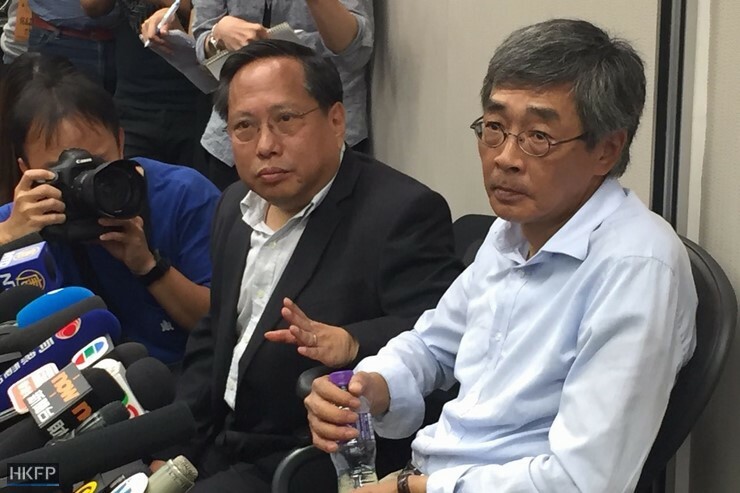 Responding to pro-Beijing lawmakers’ comments that the incident had nothing to do with One Country, Two Systems, Ho said that the kidnapping of Lee Bo was a serious incident and the mainland law enforcement agencies had ignored the basic norm they should have abided by – namely that they could not come over to Hong Kong to take people away. Albert Ho and Lam Wing-kee. Photo: Gene Lin/HKFP. 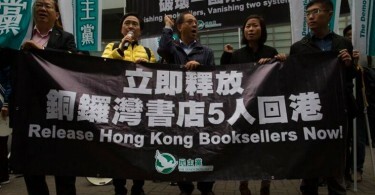 Ho added that, concerning how the Hong Kong booksellers were detained, there was a “blatant violation” and “non-compliance” with the obligations enshrined in a memorandum that was entered into by the Hong Kong government and the mainland authorities. Ho said that under the memorandum, the mainland should have disclosed the purpose of the compulsory measures the Hongkongers were subjected to, as well as the place and the duration of the measures.